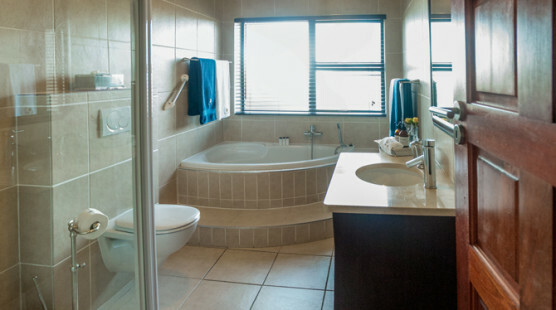 This Apartment has 1 bedroom with en-suite bathroom with a private pool and it is suitable for 2 persons. 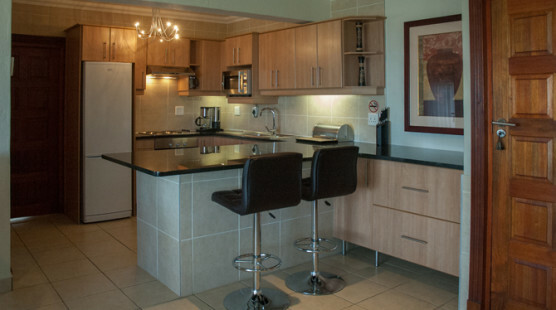 It has a fully equipped kitchen, dishwasher, washing machine, open lounge and dining room with Air con and a fireplace. 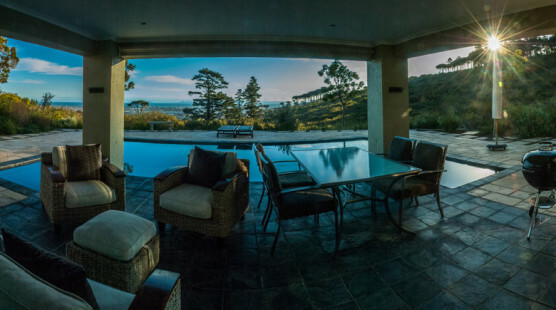 From the lounge you have an amazing view across False Bay to Cape Point. The patio is under cover. Private parking is available on site. 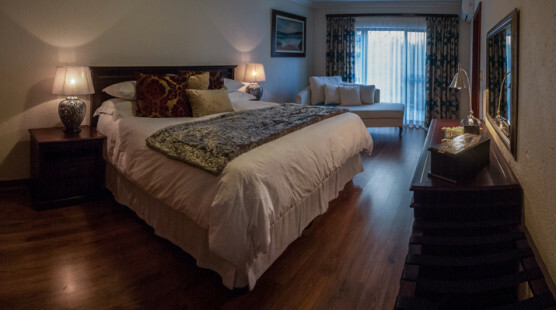 The bedroom is wooden floored and has a king size extra length bed, with a full bathroom en-suite. This bedroom has its own private patio. Includes: Self-catering. 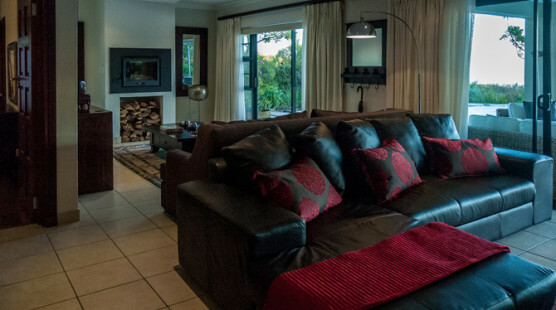 Sleeps Max 2 People – from R900 Per Day. Views: mountains, sea, garden, fynbos. Other: Pool, free standing barbecue, patio, sunbeds, patio furniture and umbrellas. Air conditioner in the main bedroom, lounge and dining. free Business Class synchronous Wi-Fi internet, safe, hair dryers in bedrooms and on site parking. Linen and towels are provided. Cleaning service Mondays to Fridays. Cleaning supplies are provided in the apartment. This apartment is 145 m2 and the patio is 28 m2.